CONCLUSIONS OF THIS REVIEW: "Accumulated data allows sperm DNA damage assessment to be recommended among routine tests for infertility investigations. Several methods are used to assess sperm chromatin/DNA status. 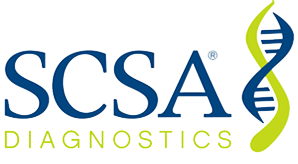 SCSA is currently the only method that has provided clear clinical cut-off levels and that can be recommended for a robust sperm DNA damage evaluation."